What is a Dragon’s Pearl? 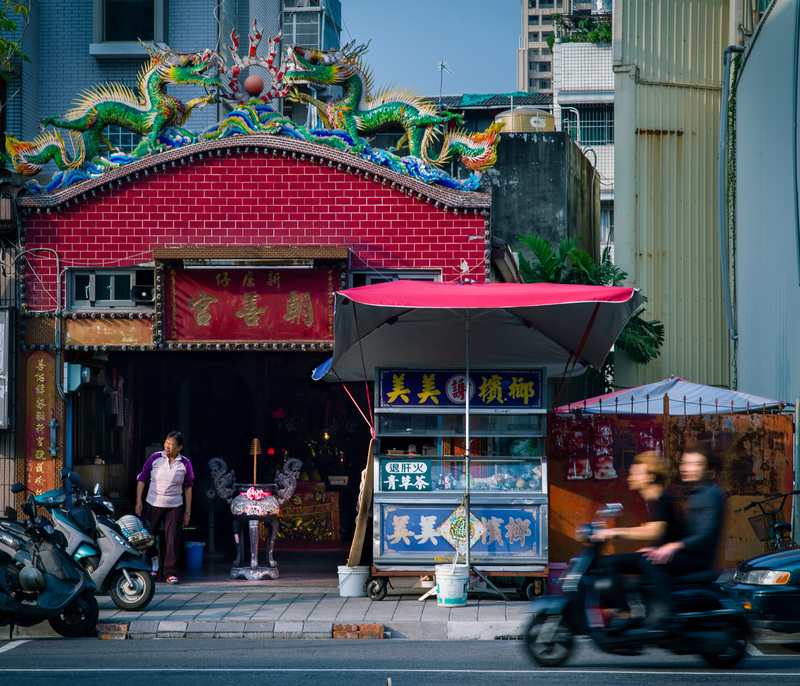 On Kaohsiung’s backstreets, small Taoist temples are as ubiquitous as betel nut stands and misbehaving scooter riders. These temples are unmistakable, with characteristic roofs complete with dragons made from multi-coloured ceramic tiles. Sometimes a pair of these dragons (龍) will have a pearl (珠) between them. The pearl is often ablaze, shown with flames licking around it. 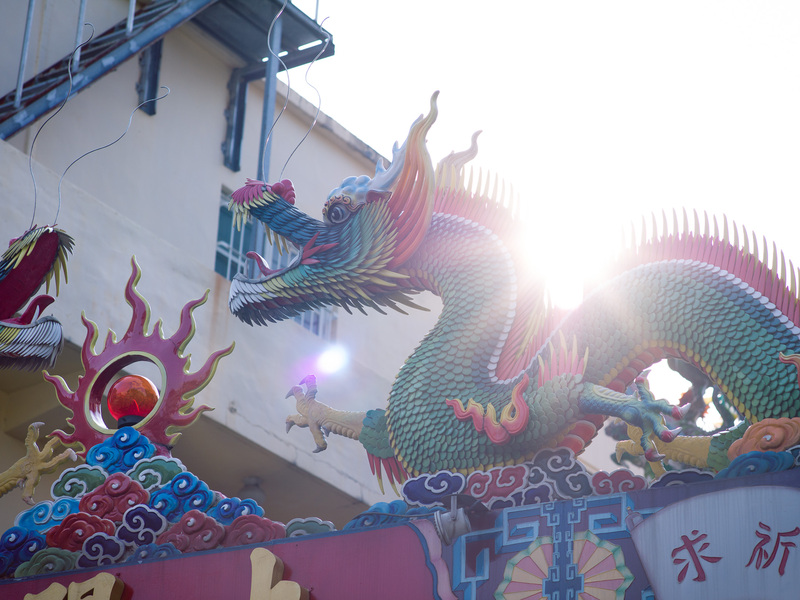 It is common to see a pair of dragons and a flaming pearl on top of Taoist temple roofs. 雙龍搶珠: A pair of dragons fighting over a pearl. The exact origins of the ‘flaming pearl’ are unclear, but it is common in architecture art and ceramics all over Asia. The flaming pearl is known to be a symbol of good luck, prosperity, wisdom and truth. Indeed, the symbolism of the pearl is important in both Taoism and Buddhism – in the latter the ‘sacred pearl’ is the jewel in the lotus, a jewel that grants all wishes. The ‘flaming pearl’ itself, however, is mysterious – some interpret it as representing the sun (dragons were once believed to chase the sun), others say it is the moon, the North Star or thunder. One point that all can agree on is that it is the embodiment of qi (spiritual essence or energy) and the dragons may either both be chasing after the ever illusive orb or one dragon may be fighting steal the of spiritual energy belonging to the other. In Taoism the dragon is an incredibly powerful symbol. In ‘Yin and Ying'(陰陽), in which all things are composed of a balance of their opposites – Dragons are symbols of Yang (陽) which represents masculinity, speed, aggression and also daytime and sunshine. Here, the dragon fights for the mysterious ‘flaming pearl’. The dragon is the the kundalini energy rising and the pearl is the pineal gland. ← World Dance Games – Kaohsiung, Taipei ?